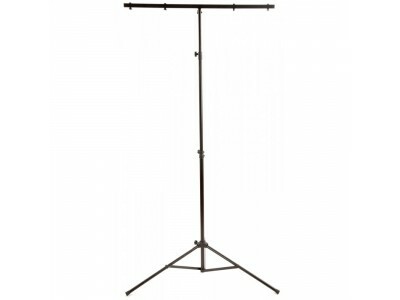 A heavy duty light stand ideal, due the low weight, for use on stage, at a drive-in, bands, etc. Equipped with a T-bar with hanging points for lighting effects, cans or other equipment. 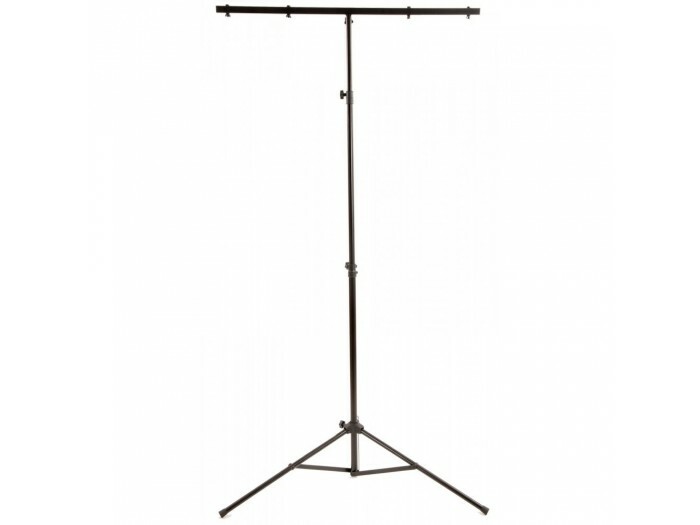 The 2.60m stand is compact to fold and is fixed with swivels and metal pins ensuring a safe and stable use.